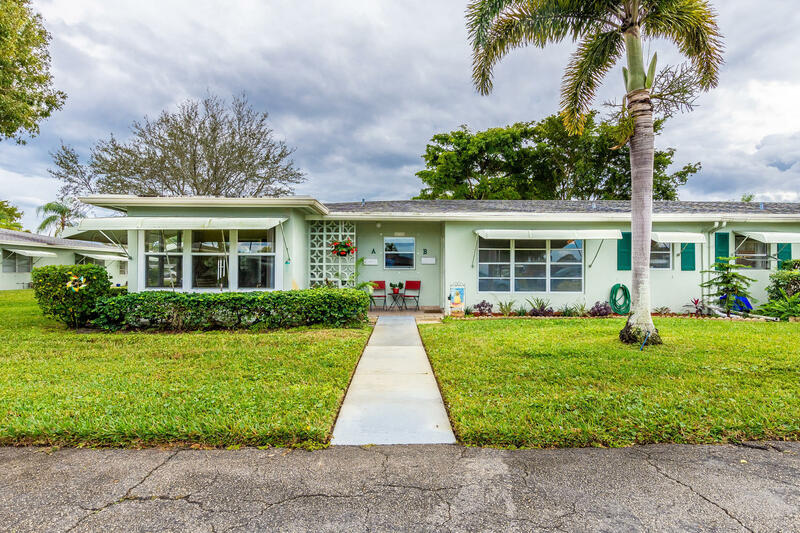 All HIGH POINT OF DELRAY BEAC homes currently listed for sale in Delray Beach as of 04/21/2019 are shown below. You can change the search criteria at any time by pressing the 'Change Search' button below. "This updated 55+ High Point 2/2 well-appointed corner unit is light, bright, spacious and turnkey-ready to move in with all furnishings included - just steps from sec III's amazing clubhouse. Owners spent over $40k in upgrades and improvements including custom cabinetry, exterior impact windows/doors, stainless-steel appliances, remodeled bathrooms as well as unit flooring, painting and electrical upgrades. 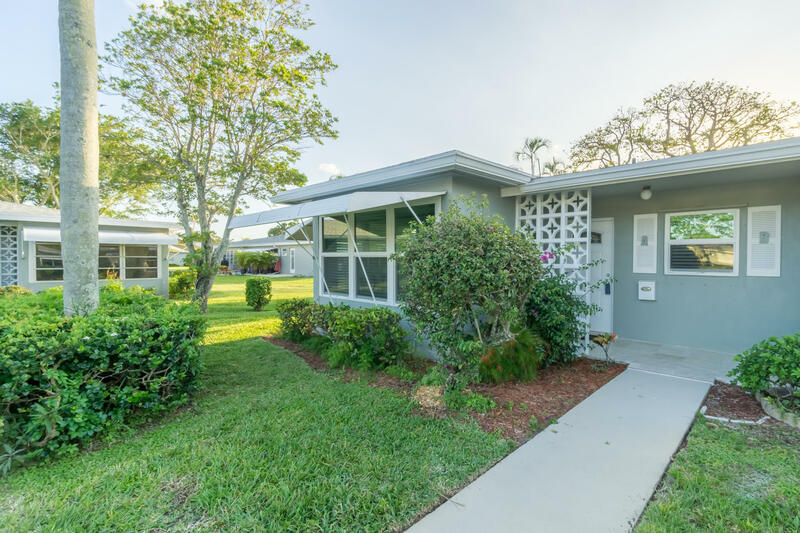 Enjoy the bonus Florida room overlooking lush landscaping throughout with a serene outdoor patio - these are just some of the many extras that await you. Central to everything Delray Beach has to offer - restaurants, shopping, beaches, recreation, parks. Don't miss this one! *ALL INFORMATION PROVIDED IS APPROXIMATE (PER PUBLIC RECORDS) AND SUBJECT TO INTERESTED PARTY VERIFICATION,"
"Fabulous Extra Clean End Unit Condo with Tile Throughout for easy Cleaning. Unit Features 2-Bedroom, 2-Bathroomd and a Florida Room & Extra Large Living Area. Seller will only review offers from Owner Occupants or Non-Profits unit until April 9th per deed restrictions. No Pets." 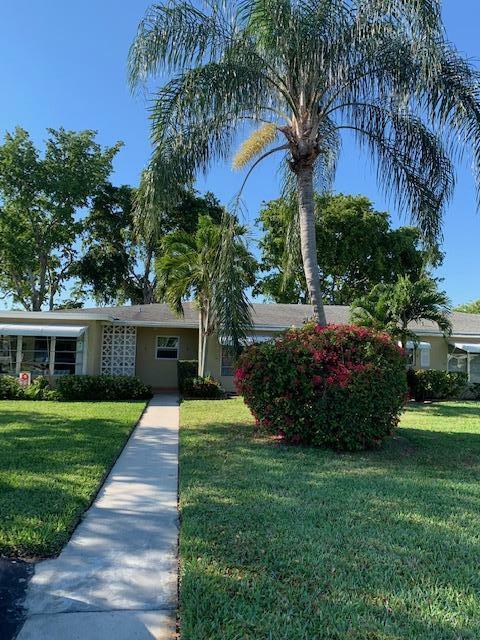 "Great location and outstanding value on this 2 BR, 2 BA corner villa located in Section 2 with tons of green space surrounding it. Priced competitively for the new owner to make it their own. Centrally located in Delray close to all of action on E. Atlantic Ave. and a short ride to Delray's fabulous beaches. Great property for the snowbirds or year rounders." 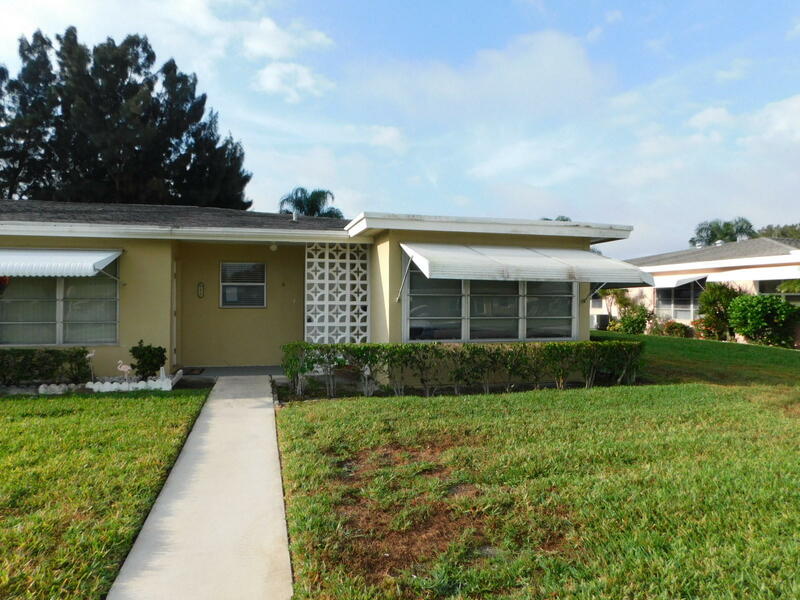 "One Bedroom, 1.5 Bathroom Villa in Sought after High Point of Delray Beach Community. 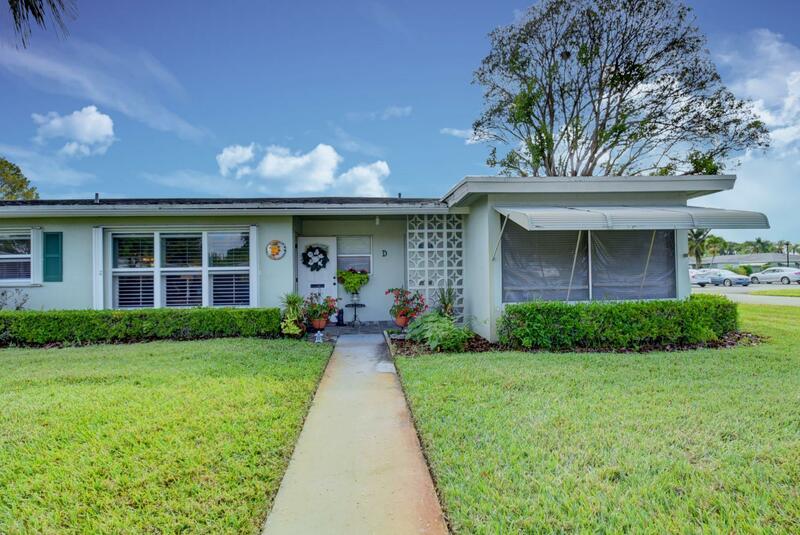 Less than 3 miles to the Beaches and Trendy Downtown Delray Beach. Villa has been completely renovated from top to bottom. Wood like Tile Flooring throughout, New Wood Kitchen Cabinets with soft close door/drawers, Pantry, SS Appliances and Quartz Countertop, high hat lighting. Home has been Freshly Painted, 6 inch baseboards, new light fixtures, Brand new Bathrooms with new Cabinets and Sinks, Subway tile in Shower. Large living and dining area. Kitchen has been opened up to include a Breakfast Bar. Low Maintenance Fee. Active Clubhouse with Pool,, shuffleboard, horseshoes and lots of activities. Bring your fussiest buyers, they will not be disappointed. 55+ Community." 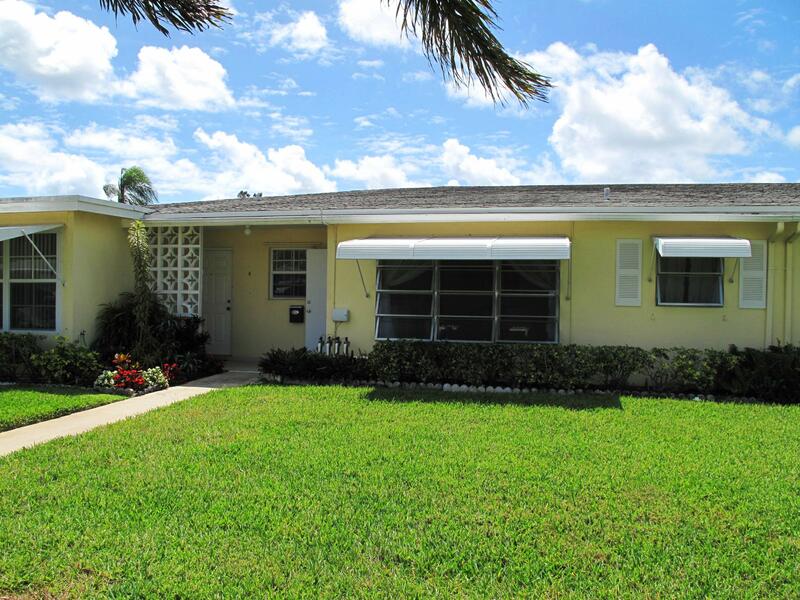 "SPACIOUS & BRIGHT 1 BEDROOM 1.5 BATH VILLA IN DELRAY HIGH POINT SECTION 2. COMPLETELY REMODELED WITH A BEAUTIFUL OPEN CONCEPT KITCHEN. TILE THROUGHOUT. CROWN MOLDING UPDATED BATHROOMS. NEWER WINDOWS AND SHUTTERS. FRENCH DOORS TO SUNROOM (WITH A/C) CAN BE USED AS GUEST ROOM/OFFICE. 2 LARGE WALKIN CLOSETS IN MASTER BEDROOM. GREAT LOCATION!!! CENTRALLY LOCATED NEAR SHOPPING, RESTAURANTS, DOWNTOWN & MINUTES TO BEACHES. TRULY A MUST SEE!!" "You won't believe how easy life is in this delightful 1 bedroom, 2 bathroom villa. Open and airy with lots of storage space plus a separate 9 x 7 office, 2 walk in closets, easy care floors, step saving kitchen. The enclosed Florida Room leads you to an open patio overlooking a vast green area. Better yet, you'll be living in a friendly community with pool, club house and shuffle board only a short drive to the beach, shopping & freeways. Start enjoying life today." "Motivated sellers !!! 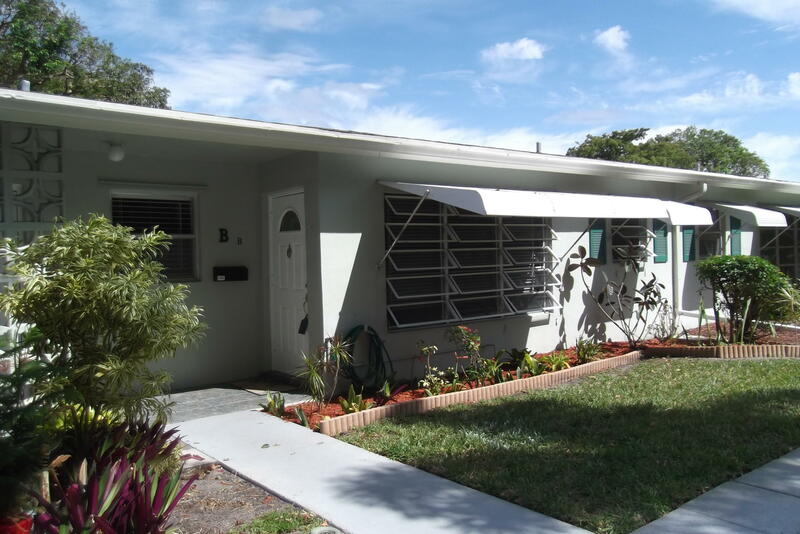 Bright open & spacious Large 1 Bedroom 1.5 Bath updated Villa w/enclosed Familyrm.Lg. Lite tiling thru-out, White Kitchen, newer A/C & updated electrical panel private front & rear patios ." "Pride of ownership is evident from the moment you step into this lovey, spacious, bright and airy 1BR1.5BA villa. This villa is nestled in a 55 Plus community. Villa features: AC unit 2014, Water heater 2006, Newly installed phantom screen door at entrance, newer wood laminate flooring throughout, updated guest bathroom, no popcorn ceilings are now undated to knock down, stacked washer and dryer in master bathroom area, Master bathroom has new vanity, newer siding glass door to air conditioned Florida room, partially updated kitchen w/granite counters, association installed Blue stream for their cable and internet system that offers 1 gig internet, high definition cable with HBO channel, Newly installed backyard patio a 2200.00 upgrade." 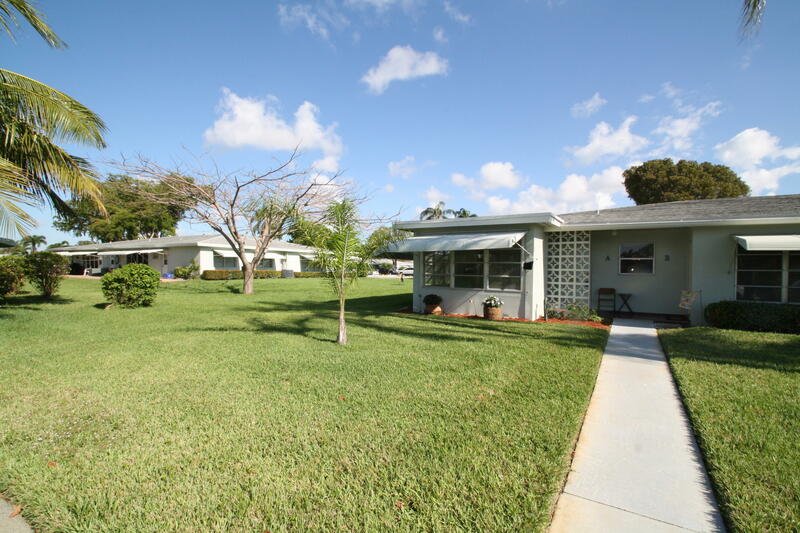 "One bedroom villa in High Point of Delray Section 2. Updated granite counters and cabinets in kitchen. New tile throughout. Master bath has been updated. Air conditioner was purchased in 2017 and hot water heater is five years old. 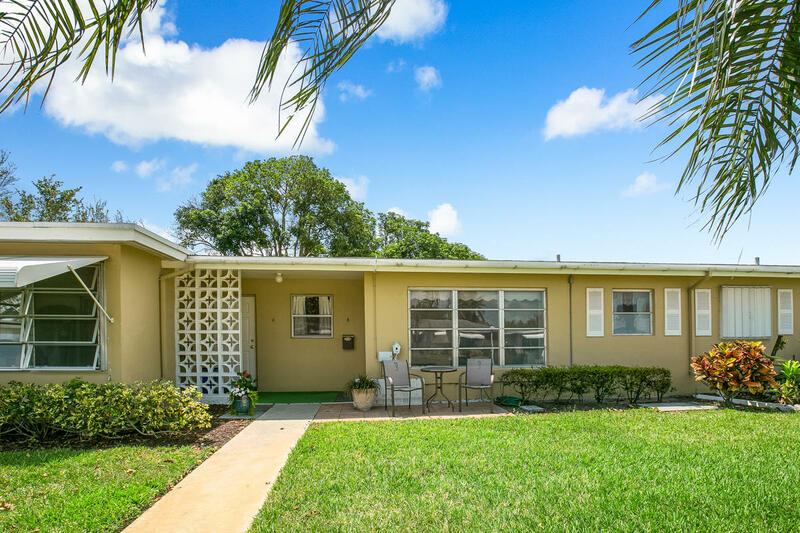 Come enjoy this nice villa while being less than three miles to trendy downtown Delray and the ocean. Lots to do in this active community." "Rarely available 1 BR / 2 FULL Baths Waterfront Villa in the heart of Delray Beach. Spacious floor plan with Oversized Master Bedroom, Bonus Room that can be closed off, Renovated Granite Kitchen w/ White Cabs and deep sink, Newer Appliances, Tile Floors Throughout, X-Large Master Closet, Florida Room, NEW Interior Paint, HANDICAP FRIENDLY: NEW Presidential Walkin Bath Tub in Bedroom, Walk in shower in guest bath. Move in ready! 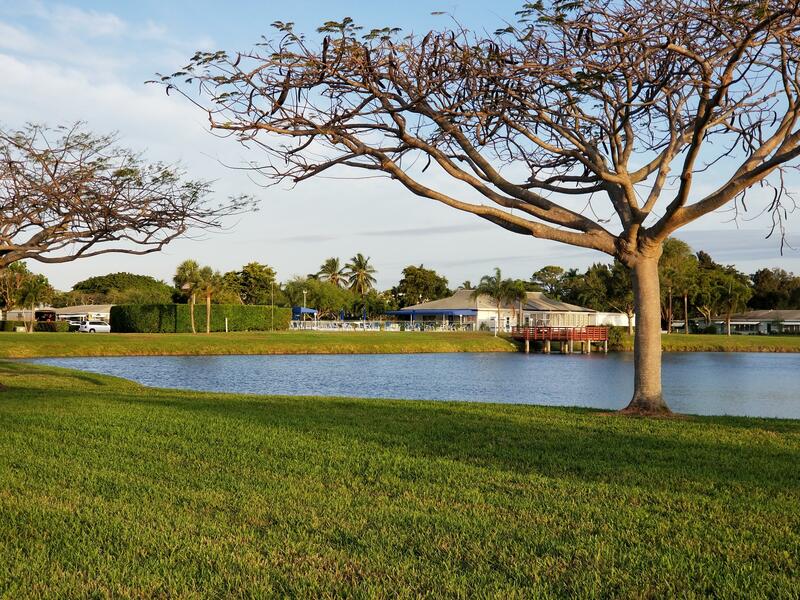 Peaceful & Tropical views of canal and fruit trees." 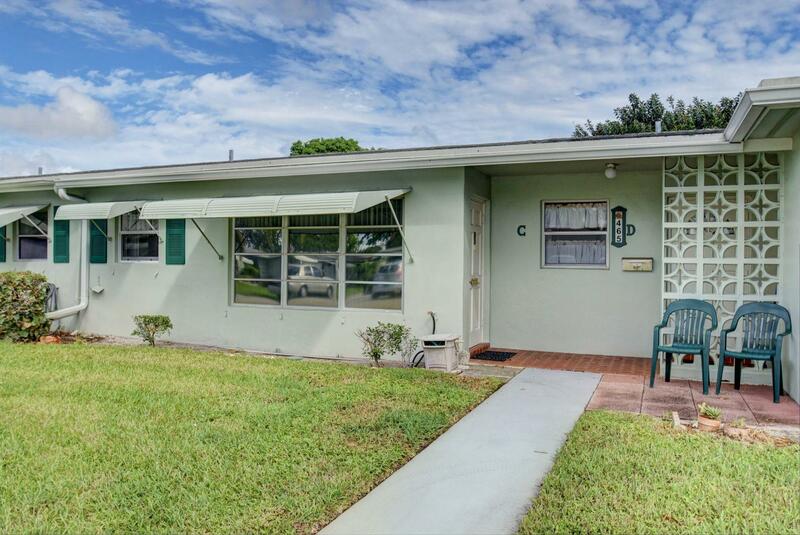 "Adorable 1 bedroom located in the perfect location of Delray Beach. This well kept villa has a large living and dining area. 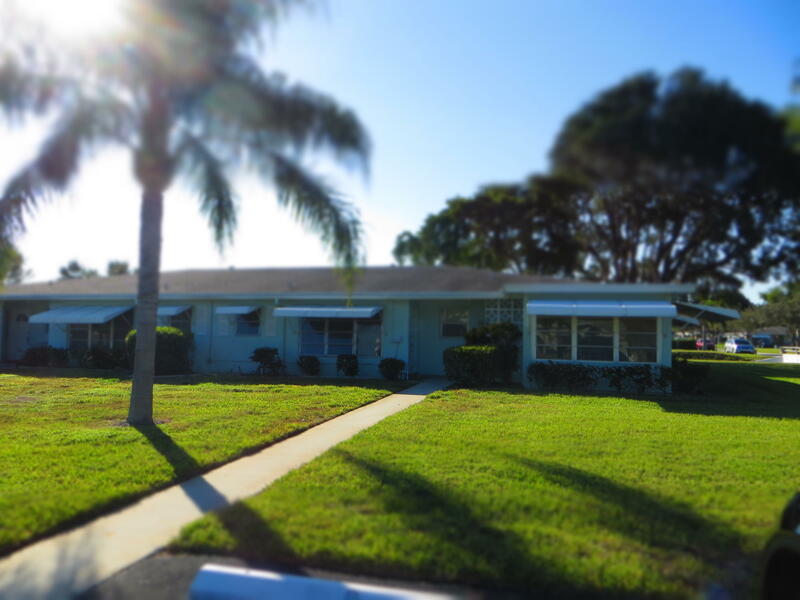 You have 2 large closets in the bedroom and a nice Florida room which is steps away from the Laundry room! Must have credit score of 700 or higher per association."